On Wednesday Oct. 11, President Donald Trump said this: “It’s frankly disgusting the way the press is able to write whatever they want to write and people should look into it.” Immediately, a mediatic and political firestorm should have come down on him to rebuke his stance on press freedom and to protect the First Amendment — but it didn’t. The story was picked up by most big news outlets, but it didn’t get a lot of traction because it was shut down by White House Press Secretary Sarah Huckabee Sanders. She defended this pathological liar by simply saying, “But with the First Amendment … with those freedoms also come responsibilities. And you have a responsibility to tell the truth, to be accurate.” You should already know there is something fishy going on here, but let me lay it out for you. The United States’ press freedom index is ranked 43, according to Reporters Without Borders, a number that puts the U.S. in the same ballpark as Burkina Faso at No. 42 and my dear country of France at No. 39. Higher in the ranks reside Ghana at No. 26, Canada at No. 22, and Costa Rica at No. 6. When sub-Saharan countries are ranked above you in an index that relies heavily on determining intensity of abuses and violence against media, media independence and self-censorship, you ought to seriously revisit your priorities. Just like in the U.S. with Trump, France’s President Emmanuel Macron has had some incidents where he acted against the press’ freedom and independence when he chose which journalists may cover him, an honor usually bestowed by the editor-in-chief or management teams of the different newspapers. But even Macron would not go so far as to threaten “to challenge their license” or even “if appropriate, revoke [it]” for reporting on something he probably said, then backtracked. The press and journalists’ rights hinge on the respect of the First Amendment. My ability to write this column about the faults and mishaps of the U.S. depends on that piece of paper written in 1787. If a false report is issued, journalistic integrity demands a withdrawal and an apology. 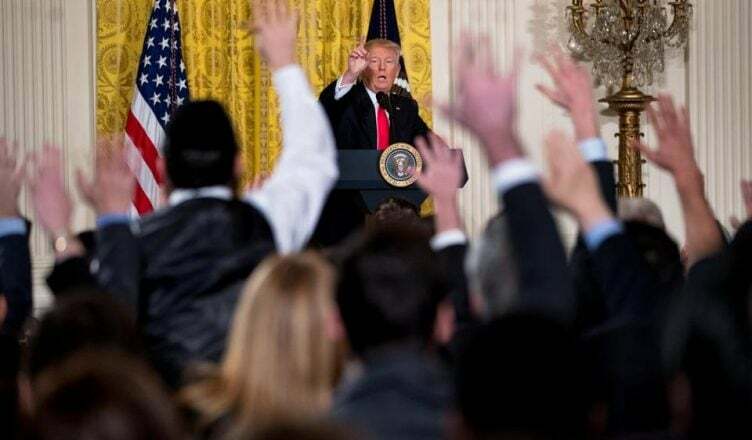 But nowhere is it written that the president, especially one with such a shaky notion of freedom and democracy, has any right to silence journalists, to tell us what to write, or to demand us to stop covering his bad decisions.